Like kickass crime fic? Hanging out with crazy talented wordslingers? How 'bout beer? Can you find Boston on a map? 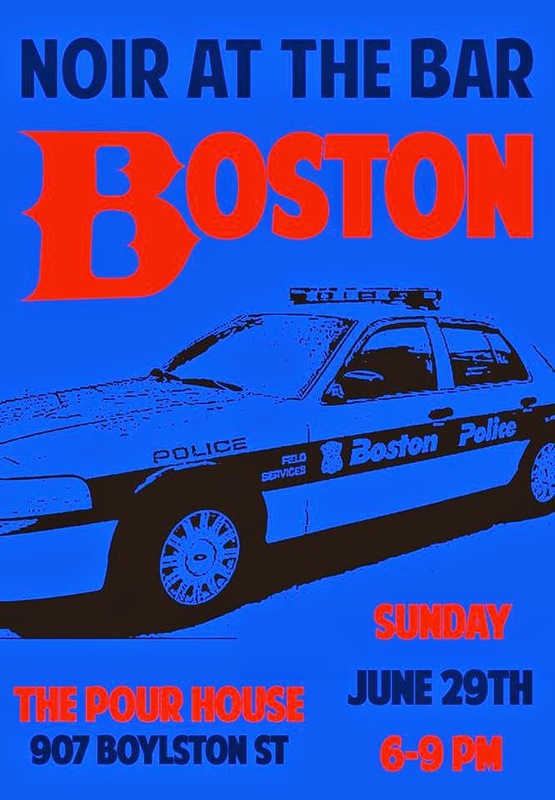 If you said yes to any of the above, you owe it to yourself to come to The Pour House on Boylston Street this Sunday, June 29, at 6PM for Noir at the Bar, New-England-style. (Noiah at the Baah?) I'll be reading alongside the likes of Todd Robinson, Dana Cameron, Rob Hart, Chris Irvin, Bracken MacLeod, Jen Conley, Dave Zeltserman, Paul Tremblay, and Toni L.P. Kelner. Hope to see you there! Writer/editor Erik Arneson was kind enough to have me by his blog today, to take part in his Four Questions series. We talk tattoos, THE KILLING KIND, and the future of the Collector series. Click through to give it a read! The following is adapted from a handout I put together for a recent writing workshop. I thought folks might get some use out of it, so I figured I'd post it here. The fact is, you don’t need a long list of publishing credits to woo an agent. You just need a decent one-paragraph “elevator pitch” for your book, some manners, and common sense enough to follow the agent’s stated guidelines. Below is a version of the query I used to land my current agent, the insanely awesome and talented David Gernert. Is it any good? I couldn’t say. But I can tell you it worked. [If you’re approaching the agent because you’re a fan of a client of theirs, feel free to open with a sentence saying so. It’s not expected/required, though, so don’t lie. Heck, even if it were expected/required, you still shouldn't lie.] I'm seeking representation for my mainstream thriller, THE KILLING KIND, complete at 80,000 words. THE KILLING KIND is the story of Michael Hendricks. Once a covert operative for a false-flag unit of the US military, Hendricks was presumed dead after a mission in Afghanistan went sideways. Now he makes his living as a hitman entrepreneur of sorts who only hits other hitmen. For ten times the price on your head, he'll make sure whoever's coming to kill you winds up in the ground instead. Not a bad way for a guy with his skill-set to make a living – but an even better way to make himself a target. I've included [whatever their submission guidelines ask for, and NOTHING ELSE]. I'd be delighted to send along more, should you prove interested. So there you have it. Short, polite, and to the point. If you’d like to learn more about crafting a quality query, I recommend checking out agent Janet Reid’s Query Shark blog, on which she invites fledgling writers to submit their query letters for critique; it's an invaluable resource, and gives authors a rare glimpse into how agents think about submissions. 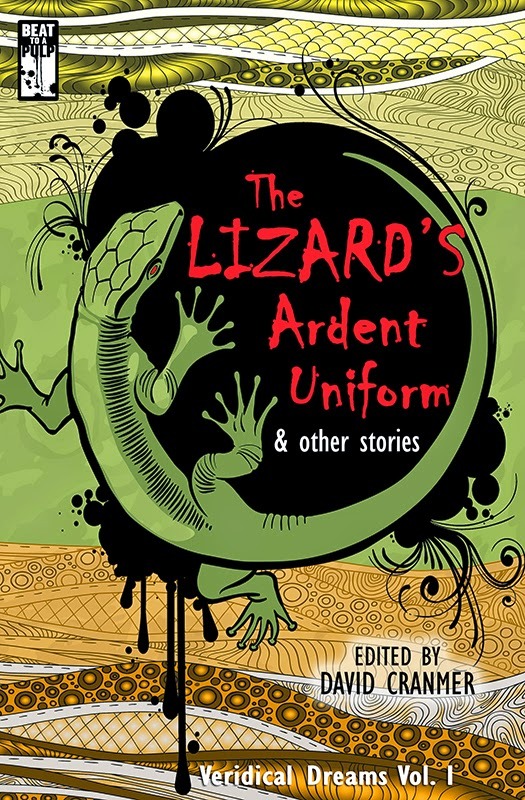 Today marks the release of Beat to a Pulp's latest anthology, THE LIZARD'S ARDENT UNIFORM & OTHER STORIES. My short story "The Lizard's Ardent Uniform" is featured alongside stories by such talented writers as Hilary Davidson, Steve Weddle, and Patti Abbott. This project has a special significance for me because it honors my good friend David Cranmer's nephew Kyle J. Knapp, a writer who passed away far too young. His dream journals provided the prompts for each of the stories in this collection, and a portion of the proceeds will be donated in his name. If you'd like to learn more about the project, check out this post on David's blog. If you've got a Kindle, you can get your copy here. And if you'd prefer a print copy, David's got you covered there, as well. Think you’ve got a book in you? Or have you typed THE END already, and now you’re wondering what comes next? Chris F. Holm is an award-winning author of crime, horror, and dark fantasy. His Collector trilogy is a fantastical take on the classic crime pulp of Raymond Chandler and Dashiell Hammett. Join Chris for a reading, signing, and discussion about what it’s like to be a working author in the digital age. While the event is part of Hamilton's Alumni College program, it's free and open to the public. The college bookstore will have copies of my novels on hand, but I'd be happy to sign any you bring along, as well. The Sadove Student Center (formerly ELS, for those of you attending the reunion) is the first building on the left after the main crosswalk on campus as you're driving up the hill. Hamilton's a small school; you'd be hard-pressed to miss it. I hope to see you there!